Our amuse bouche was "mixed seafood" - with marinated octopus, snail, and tomato. Silly me, I hadn't realized snails were from the sea... And the octopus tasted like those store-bought Japanese baby octopus with that thick, sweet red sauce... The amuse bouche at Amuse Bouche failed tonight. Tuscan artisanal pasta with black truffle and chicken gravy - loved this last time, and wanted an encore performance. Just as tasty as I remembered, and inhaled in no time. The only problem is that the added cheese kinda clogged up as the dish started to cool down, and this stuck to the utensils. A little annoying. Duck leg confit served with sautéed potatoes and herb salad, with duck jus - I had fond memories of this from my first visit, so I decided to go for this classic. Very well done, and just what I wanted. I actually didn't need dessert, but kinda wanted some. I asked two different members of the staff for their opinions on the range on offer, and I was pleasantly surprised when they gave me their honest opinions. 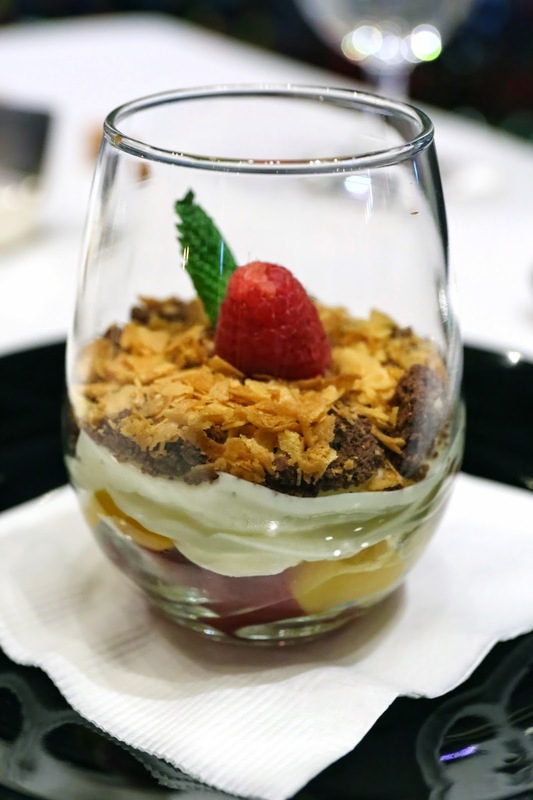 Marscapone cheese mousse and raspberry jelly with chocolate crumbles - I should have listened to my friend and not ordered dessert... This was OK, but I wouldn't order it again. The cubes of mango were ripe and sweet, but the raspberry jelly was a little harder than I expected. 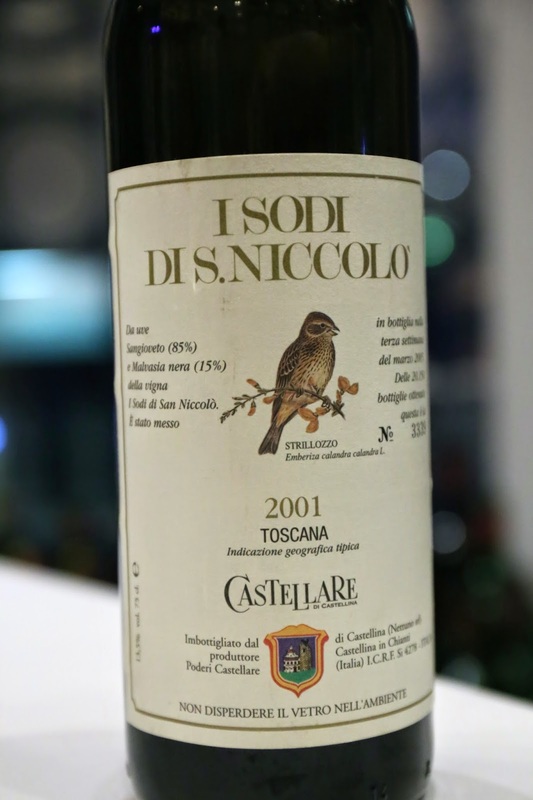 2001 Castellare di Castellina I Sodi di San Niccolò - initially the nose was simply not clean, a little green and vegetal with wet chalk. We debated whether the bottle was corked, but decided it wasn't obvious enough. A little minty with dried herbs. Very smooth on the palate, with velvety tannins. Surprisingly for a Sangiovese, this wasn't acidic at all. 1994 Colgin Herb Lamb - wow! Pretty much the way I expected it to be: really exotic, tons of coconut butter, tons of vanilla, very sweet, with lots of tangerine. Alcoholic a little sharp on the nose. There was a little too much wine for the two of us, as both of us are a little weak... so I poured the Colgin from the decanter back into the bottle and took it home. I guess I'll try to finish it off tomorrow.